No, Bernie Sanders, Superpredator was NOT “racist…” when Hillary Clinton used it. I can't begin to tell you how many times I have started this post, only to abort it, thinking "WTF is the point, Matt, no one cares about facts anymore. You'll just be barking at the moon… again." But today, I was called out by an old Twitter acquaintance for supposedly being an apologist for Hillary Clinton's use of the racially charged code word: "superpredator." I had just admonished Senator Bernie Sanders on Twitter for telling a CNN debate audience that the term was "racist." Our disinterested media let him get away with this because everyone had basically already accepted the oft-repeated assertion that the term was always a "racist code word." But it wasn't. Not when Hillary Clinton said it.. And not even for months—even years—after that. And I will prove it. I'm not going to bother giving you the entire history of this issue of the 1994 Crime bill, and the national mood that surrounded it at the time. Plenty of others have already done that. The short form is that back in early February, a Bernie Sanders supporter ostensibly present as a Black Lives Matter activist (but more likely as a Sanders's operative) interrupted her at a private function, unfurled a banner reading "We have to bring them to heel," then challenging her to explain why she once used racist code words like "superpredator" in a speech she gave 21 years ago at Keene College. It is now well known that Hillary Clinton has since said to Washington Post columnist Jonathan Capehart, that she "should not have used those words." But she never actually specified the exact words she was referring to. The phrase "Bring them to heel" has been around for centuries, and while it's been said that it's "common knowledge" that slave masters were known to have used it (which I've yet to confirm), it's more typical meaning is to bring dogs or prisoners into a heel, i.e., insist that they obey a direct order. After 20 minutes of Googling (prior to the date of incident), I still can't find any usage in that context. Not saying those examples don't exist (I may have just missed glaring examples that someone will soon point me to), I'm just saying that if they do, they are not widely used enough to be easily found. Still, angry Sander's supporters have basically implied that no African American should be allowed to hear these awful words without getting a sternly worded trigger warning beforehand. Looking back, I shouldn’t have used those words, and I wouldn’t use them today. Fine. She apologized for what was being portrayed as racist language, because at least some of it is seen as racist language today. Good on her. Nip it in the bud and move on. To paraphrase GEICO Insurance ads, "If you're a politician, it's what you do." But is that really a true account of what she felt, and was it really fair to her in this context? I don't think so. And that she apologized—for something—that had blown up that big in a campaign for President of the United States means slightly less than nothing to me. national magazines like Time and Newsweek were still generating "buzz" about the term only a few days before she had used it, and national publications aren't in the habit of splashing racist code words all over their pages without at least putting them in quotes or masking them (like the "n-word"). The fact is, the term "super-predator" (or "superpredator") was coined just 2 months earlier in an November issue of Bill Kristol's brand new conservative rag, "The Weekly Standard," in a now-infamous article by Princeton Prof. John Dilulio entitled "The Coming of the Super-Predators." In it, Dilulio cites statistics about youth violence, and does suggest that a high percentage of black boys are engaged in gang activity, but by and large, the piece was mostly about his theories about these new young super criminals. You have to really work to find any obviously racist canards or tropes therein—although they would become that much later. Naturally, that doesn't stop modern-day liberals (mostly Sanders supporters) from suggesting it was right there, and so obviously racist, that Hillary Clinton must have just leapt out of her chair and run to her speech writers, insisting they use this hot new racist trope wherever they could—immediately <sarcastic eye-roll here>. In the real world (that many Liberals don't seem to live in anymore), most reasonable people know that new words and ideas, especially incendiary ones, catch fire with the media, and politicians (or their speech writers and PR flacks) are experts at seizing on them when they want to sound informed and current about breaking cultural news, events, or political matters. The second reason to keep the champagne corked is that not only is the number of young black criminals likely to surge, but also the black crime rate, both black-on-black and black-on-white, is increasing, so that as many as half of these juvenile super-predators could be young black males. But just when we need to think most earnestly about black crime, the space for honest discourse about race and crime is shrinking. The evidence of that shrinkage is everywhere: in the lickety-split O.J. verdict and its racially polarized aftermath, in the utter certitude of many blacks that the justice system is rigged against them, in the belief of many whites that violent crime is synonymous with black crime and the fear they feel of every young black male passerby not wearing a tie or handcuffs. Despite the hopelessly dishonest Fair.org account that I linked to above, it took years before Dilulio's bogus theories became a standard topic of conversation whenever wretched racist stereotypes and propaganda about African Americans came up. To his credit, Dilulio aggressively recanted his theories years later, citing very bad research by himself and others. But all of this took a long time to evolve, and long after his second article appeared. Hillary Clinton could not have steered away from a code word that hadn't even become one yet. How can I be so positive of this? That Dilulio first coined the term just two months before Clinton used it? Because a) I was alive at the time, and was quite politically engaged and remember conversations about superpredators like they were yesterday, and b), all you have to do is a simple Google Search for "superpredator OR super-predator" prior to Nov. 27th, 1995, the date Dilulio's article was published. See? Nothing there. Zip. Nada. Prior to the date of Dilulio's article, "superpredator" was being used for discussing mean kitty-cats, biological imperatives, and a mathematical model of a tritrophic food chain. Nowhere, not even once before that date was the term being used to discuss extreme violence in human children in any form, let alone as it might apply to African American children. But once introduced, the term exploded onto the national and international stage, appearing almost everywhere at once. It was all over the nightly news, the late night talk shows, and everywhere in between. Just FIVE DAYS before her ill-fated Keene college speech, another Google search reveals that the shiny new—and oh so scary—term was on the cover of Newsweek. For Bernie Sanders, or anyone else in this campaign or the media to suggest that Mrs Clinton was using a known racist code word or associated trope, when that word only came into existence a few weeks earlier, is intellectually dishonest at best, and scurrilously slimy at worst. Does anyone seriously believe that there would be any rational reason for a First Lady, hugely popular with African Americans, to willfully seize on a known racist trope or narrative and toss it into a totally unimportant speech in New Hampshire? What would be the point? Where's the gain? There isn't any. And it's just political opportunism to suggest otherwise without some other corroborating evidence or patterns of her using such dog whistles before that. She hadn't used before then, and she certainly hasn't used any since then. Clinton was simply trying to show American families that along with parents everywhere, their government was also alarmed by this extreme new form of violence that was being reported. Again, no one knew how bogus the theory would be for several more years. And did it cause any shrieks of racism from the public at the time? Nope. I haven't even been able to find the speech mentioned in any relevant way in the days, months and years since. Had it not been for Buzzfeed, no one would ever know the Keene speech even existed. Revisionists for Sanders will probably say Dilulio was so obviously racist, "she should have known," but there is not a single person or piece of data from the period that confirms such a reading—by anyone. But that doesn't mean many other liberals weren't fretting over this terrifying new criminal class of children that was reportedly emerging all over our precious heartland, and using the same language. Here's the very liberal journalist Alex Kotlowitz, using "super-predator" in a New York Times op-ed just two weeks after Clinton's speech. If "superpredator" was anything like a code word, dog whistle or other racist construction, you can be damn sure there would have been plenty of outrage over it at the time. Good luck finding any. Yes, there were some people on the left critiquing and rejecting Dilulio's thesis almost immediately. But they weren't aiming their fire at Clinton, nor condemning the First Lady for using racist language in any form, or in any public record, anywhere. Full stop. So there it is. The full early history of this term "super-predator," and nowhere in it can you find any hint that it was remotely controversial at the time. But as we've learned over the past year, the Bernie Sanders campaign has taught millions to hate Hillary Clinton by any means necessary, and once trained, these vicious haters don't much care about alternative, rational, or accurate explanations for anything. If they can ascribe bad intent, faith, or motive to anything Hillary or Bill Clinton do, they will. Senator Sanders's staff knew of the original incident and the easy accusation of racism that was out there to be repeated, and desperate for any edge they could get in a NY primary race where he trailed by double digits in, they went for it. Boom. A dishonest smear from February gets repeated as an even more dishonest debate smear in April. Once again, as I usually do, I mostly blame our criminally lazy media for these kinds of distorted and dishonest narratives. The Google searches above took me all of 5 minutes of work. Good luck finding anyone else who tried doing that among the New York Times, Washington Post, Chicago Times, and countless other outlets who covered this story sensationally (twice), using only the popular narrative that she apologized for using inappropriate words that she wouldn't use today. No one has ever asked her if she even knew superpredator had any racial overtones at the time. And since her very blanket apology, it's all moot anyway. And that's also the reason I finally gave in and decided to write this post. We have many months left in this miserable 2016 election, and even if Sanders's or his acolytes don't bring this up again, the Republicans surely will. I wanted these facts to be out there so I don't have to keep relitigating them on Twitter. May I go enjoy some Friday night pizza now? Thank you. 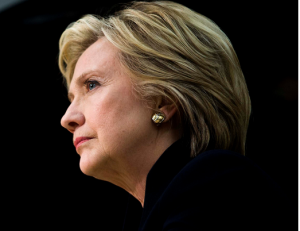 Posted in Explainers & Primers, Hillary Clinton, Politics, Uncategorized. I've decided to collect some key reads that I think can inform and educate about why her candidacy makes sense, and why Hillary Clinton winning the presidency is absolutely vital to America's near and long-term future. She is the only practical firewall against a surging radical conservatism that already controls our Congress, our Supreme Court, and most of our state governments. My personal view continues below the reading list. Note: I will be updating these lists regularly, I hope you'll keep it handy and share often. I often include short links to make each item or section more easily sharable. 2) Why Not Bernie Sanders? The right is playing a game. They're pushing Sanders so he knocks Clinton out. Once that is done, they would hammer home just the word "socialist" which, according to Pew Research, is the American voter's least favorite political attribute after "atheist." 11) What are the Milestones In Hillary Clinton's Life? We mostly see only the media's relentless portrayal of a comic book villain named Hillary Rodham Clinton. This video captures a few of the times, forces, and experiences that shaped this woman's development as a political figure, a human being, and a persistent advocate for incremental progressive change. As a utopian socialist deep in my core being, I personally like and respect Bernie Sander's overall concern and passion for reforming America. But like many pragmatic Progressives, I know that without first attaining solid progressive majorities at both the national and state government levels, his ambitious goals are simply fantastical overreach, served up as delicious election campaign candy to frustrated and hungry citizens, but which even he, a seasoned legislator, knows are completely unattainable in our current political predicament of polarized Republican control of Congress and the Supreme Court. While a Clinton administration would also have Republican obstructionism to confront, Mrs. Clinton has the temperament, skills, and experience to do as Barack Obama did: the best job anyone can in a bad situation, trying to incrementally govern our way back to control of this nation. And as Obama learned, our presidents must not only deal with this Tea Party-led irrationality that divides us on domestic matters, but also conduct ourselves rationally on a national stage as well. And there too, Hillary has the knowledge and patience for the myriad of global economic, security, and military issues we will face in the next 8 years. Bernie Sanders is passionate about addressing wealth inequality which every reasonably informed person agrees is an important long term goal of most progressives and free people everywhere. But by some of his own admissions—or remarks or behaviors made clear in public forums—Sanders has a very narrow range of experiences and skills at both the executive branch of government, and in the global arena where each and every day a superpower must conduct itself like one. That requires a very different skillset, and has very different consequences than does aggressively campaigning for president based on a few core promises with a seductive popular appeal. Our next president cannot just shout our needs and demands to the rest of the world as a populist candidate is free to do in our new, totally free-wheeling, anything-goes style of political campaigning in 21st century America. Our president must present to the world, and our nation, equal measures of reason, respect, and resolve. Hillary Clinton has a trusted record with all three. Note: If you have pieces you think should be in this list, please send them to be via my contact link above. Posted in Explainers & Primers, Hillary Clinton, Politics.